I give discarded computers new life by rebuilding them into aquariums. Each has a 3.5 gallon tank with light and filter installed. 49 backers pledged $9,847 to help bring this project to life. **UPDATE** - Big thanks to everybody who has become a backer! There are still iMac Aquarium and Kit rewards available, let's see if we can spread the word and double it to $10,000 funded! I've also created a new pledge amount and reward for international orders of complete aquariums, but please message me before you pledge so I can confirm that I can ship to your country. The estimated delivery date for rewards will also be much sooner than December! My name is Jake, and I give new life to discarded computers by turning them into aquariums! The G3 Apple iMac had a revolutionary design, but these computers are sadly out dated and on their way to be destroyed at electronic disposal facilities when I purchase them. In my shop I disassemble the iMac, modify the case, and install a custom designed tank, light, and filter in place of the screen. I then polish the cases to a lustrous shine and soon it has a new purpose as an aquarium in someones home or office. I built my first iMac Aquarium 4 years ago, one thing lead to another and I am now receiving requests for them faster than I can build them in my spare time! My goal is to transform this hobby into a business. I already have a sufficient supply of discarded computers, now I need to purchase materials for the tanks, lights, filters, and other expenses. My goal is to reach $5,000 in pledges. Upon reaching this goal I will be able to purchase the required materials in bulk quantities and streamline production workflow. Upon success of this Kickstarter Project the business will be able to sustain itself. 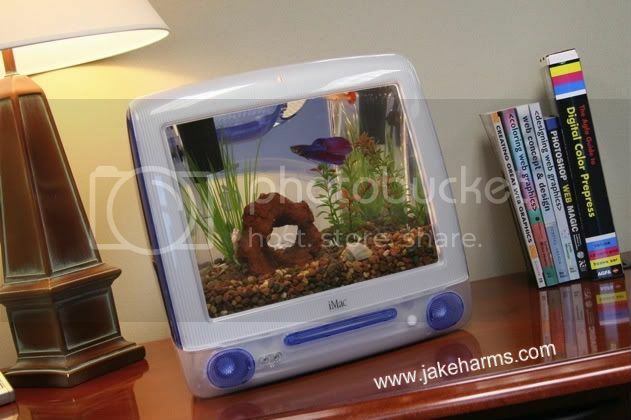 I have also developed a Do-It-Yourself iMac Aquarium Kit. 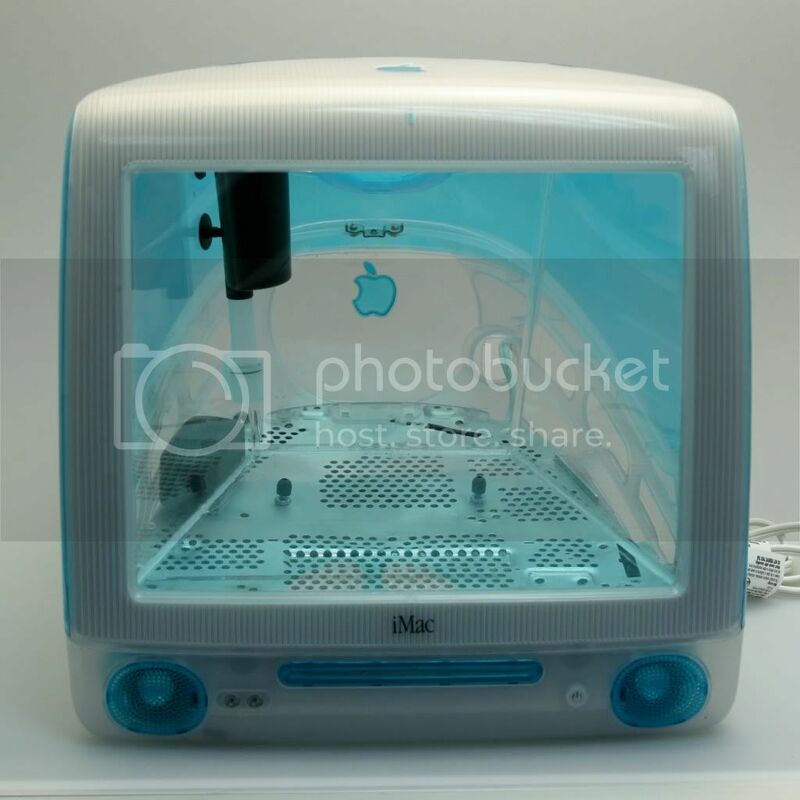 I heard from people interested in building an aquarium out of an iMac that they already have. They had the appropriate tools and handy skills but didn't want to attempt the daunting task of building a reliable tank to fit inside. For this reason I decided to offer my pre-built tank in a kit. 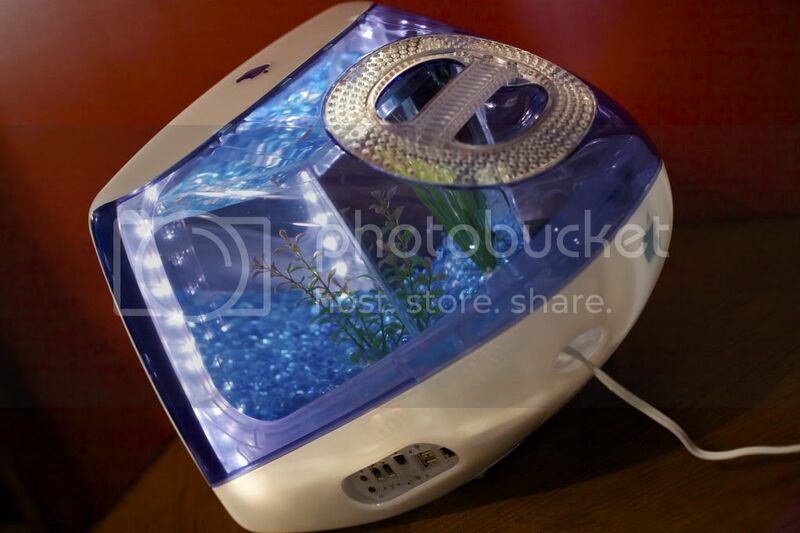 The kit includes the tank, light, filter, and all other hardware necessary to turn your own iMac into an aquarium. It also includes detailed instruction videos on how to disassemble your iMac, modify the case, and reassemble using the Kit. The kit is listed in one of the rewards to the right. Every item I can give a new purpose to is similar to pledge. It may not seem like much to one person, but every little bit counts and collectively it adds up to make a huge difference. To this point I have created every bit of this project myself. From the design of the aquarium, gathering of materials, building and production, sales, shipping, photography, video shooting and editing, website creation, and everything in between. I have literally done everything myself. Now I want to share this project with you! Make a pledge and join me on this journey, I'd love for you to be a part of it. I have some exciting rewards prepared for you in return for becoming a backer, you can see them in the column on the right. Feel free to visit my website for more information and follow my journey on Facebook. I love to reply to questions and comments, so feel free to ask. Thank you for your interest and I look forward to your support, it truly means the world to me. Pictured below is the fish fridge magnet that I make described in reward #3. The rest of the photos are of finished iMac Aquariums. iMac Aquariums do not include decorations so you are free to decorate however you wish. Available colors may include Blue, Aqua, White, Smoke, Red, and Orange. You receive your name and something about yourself listed on the "Generous Supporters" page on my website. Link to your own website, share your favorite quote, or basically say anything that fits within 100 charachters. You receive a signed Thank You postcard from me picturing a computer going through various stages of production to become an iMac Aquarium. ~ You will also receive reward #1. You receive a nifty little apple-fish fridge magnet that I hand make. You can use it to proudly post the Thank You postcard that you will receive as well to your fridge for everyone to see. ~ You will also receive rewards 1 and 2. 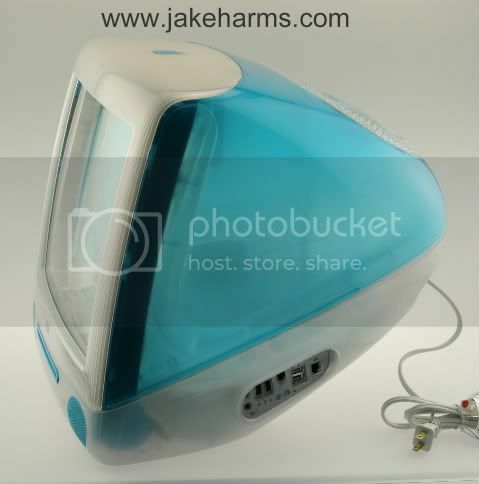 You receive a behind the scenes look at the production of the iMac Aquariums. I will produce weekly multimedia updates on the progress I make and the details that go into production. See for yourself exactly what it takes to build the aquariums. These fun updates will include photos, detailed notes, and links to videos I make so you can get an inside look at the fruits of your generosity. You are free to reply with questions or comments. ~ You also receive rewards 1 through 3! 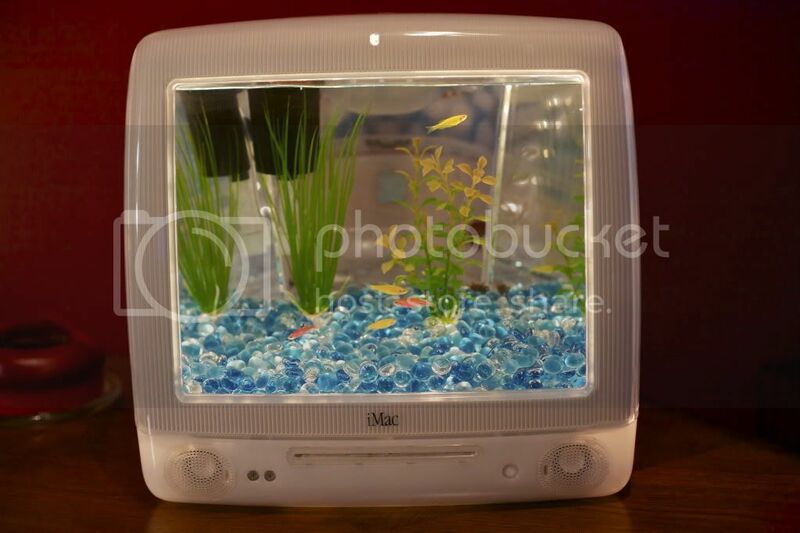 You receive an iMac Aquarium Kit. The kit includes all of the hardware (tank, light, filter, cords, ect) and the full set of video instructions detailing how to turn your own G3 iMac into an aquarium. 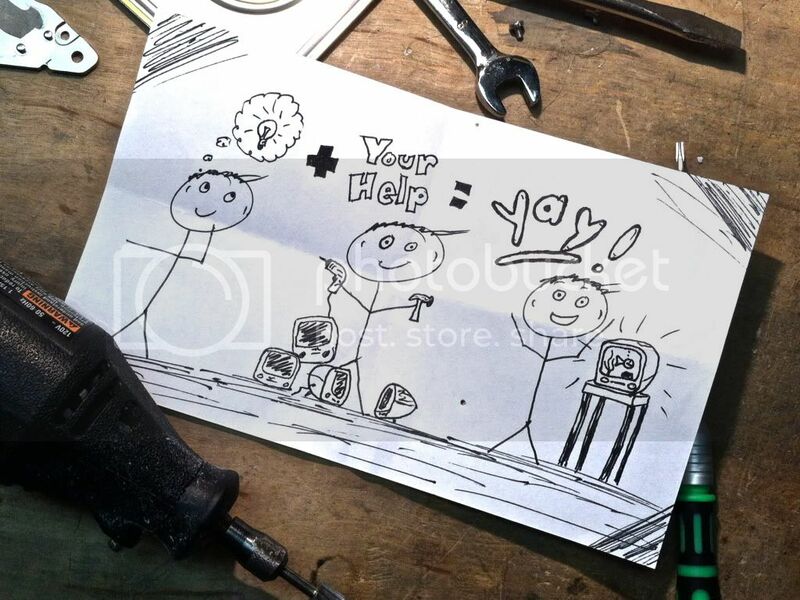 Necessary tools and handy skills are required, please see the "iMac Aquarium Kits" page on my website for further details at www.jakeharms.com ~ You also receive rewards 1 through 4! You receive an iMac Aquarium Kit. ***This reward is only available for shipping to addresses OUTSIDE of the United States, shipping is included*** You will receive an iMac Aquarium Kit that includes the tank, mounting hardware, and video instructions detailing how to turn your own G3 iMac into an aquarium. The kit will not include any electrical components. You will be free to install the light and filter of you choice as your countries electrical standards may be different. ~ You also receive rewards 1 through 4! 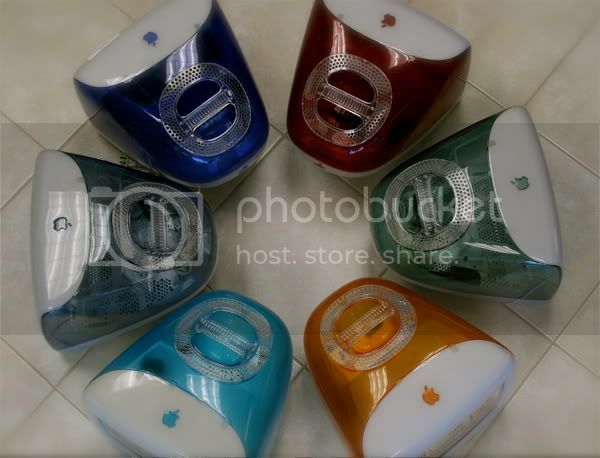 You receive finished iMac Aquarium. ***This reward is only available for shipping to addresses WITHIN the continental United States, shipping is included. *** You receive one of 50 finished iMac Aquariums before everybody else. Your name goes strait to the top of the waiting list and you will get first choice of available colors. I will engrave the inside of the case with a personal thank you message from me to you. 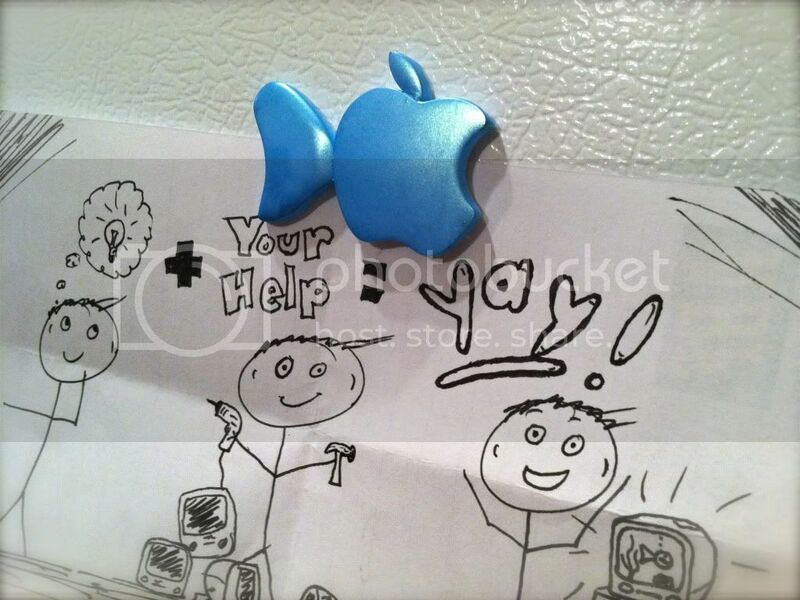 You also receive your name and a caption on my website, the Thank You photo collage postcard, the hand made apple fish fridge magnet, and weekly behind the scenes multimedia updates detailing the production of the iMac Aquariums. I would love for you to join me on this journey, you may even see your own aquarium being worked on in one of the behind the scenes updates. I also have an exciting surprise design update that may be revealed upon the success of this project! ~ I apologize, for the duration of this project I can not ship finished aquariums internationally, please consider reward #6. --NEW INTERNATIONAL REWARD-- ***This reward is only available for shipping to addresses OUTSIDE of the continental United States, shipping is included. Please message me before pledging this amount so I can confirm that I can ship to your country. 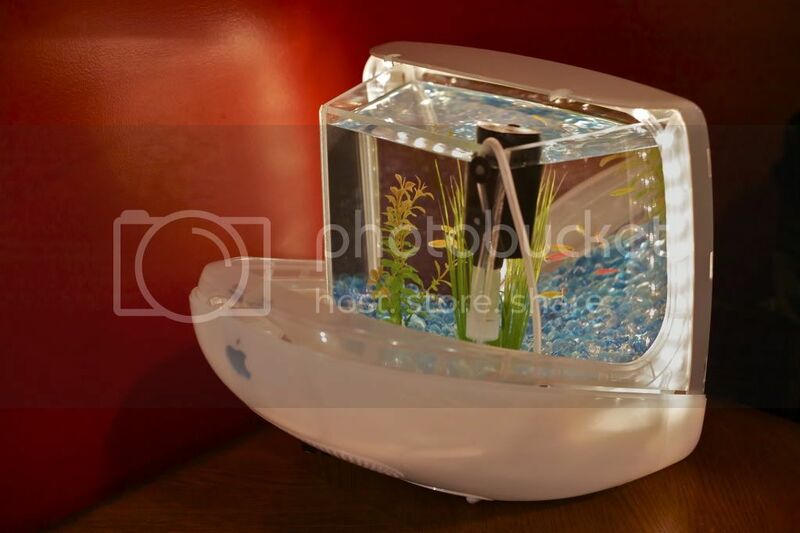 *** You receive a finished iMac Aquarium. You receive one of 50 finished iMac Aquariums before everybody else. Your name goes strait to the top of the waiting list and you will get first choice of available colors. I will engrave the inside of the case with a personal thank you message from me to you. You also receive your name and a caption on my website, the Thank You photo collage postcard, the hand made apple fish fridge magnet, and weekly behind the scenes multimedia updates detailing the production of the iMac Aquariums. I would love for you to join me on this journey, you may even see your own aquarium being worked on in one of the behind the scenes updates. I also have an exciting surprise design update that may be revealed upon the success of this project!